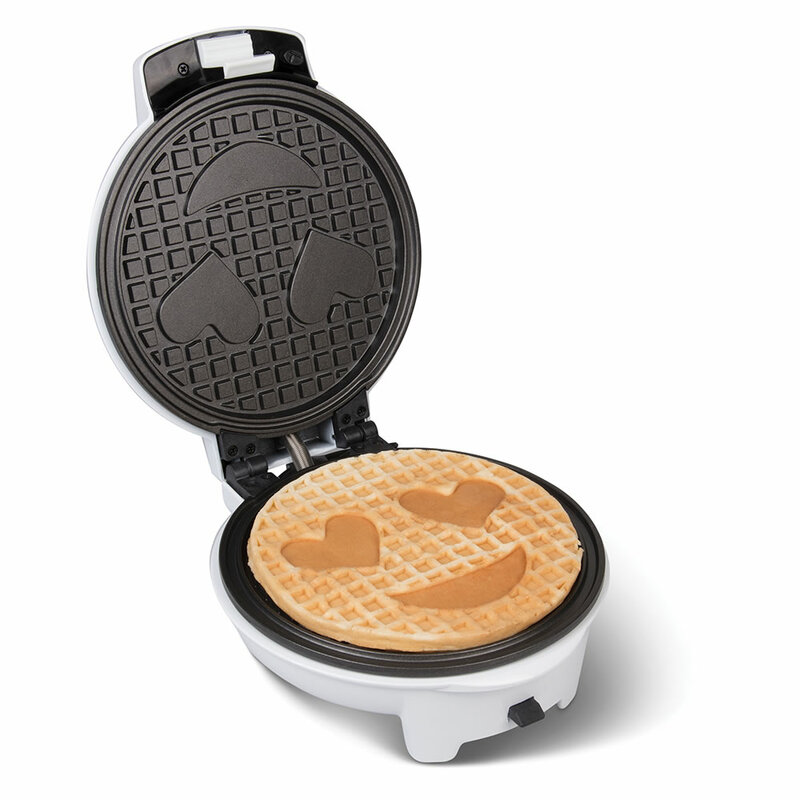 This is the electric griddle that makes classic breakfast treats with smiling or winking emoji faces. 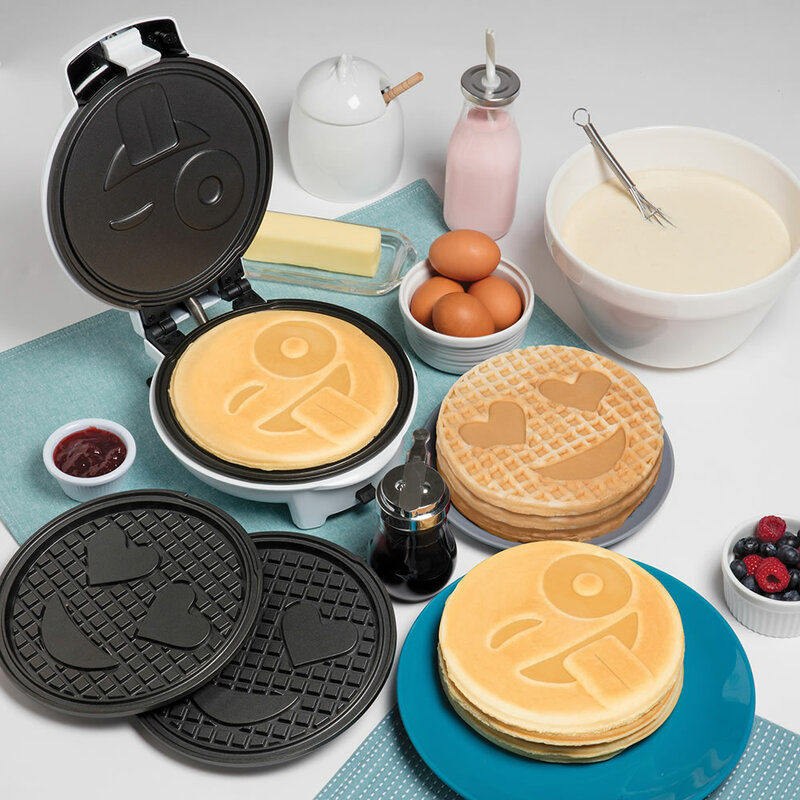 The interchangeable plates whip up scratch pancakes or waffles with the young customer’s choice of smiley face emoji. 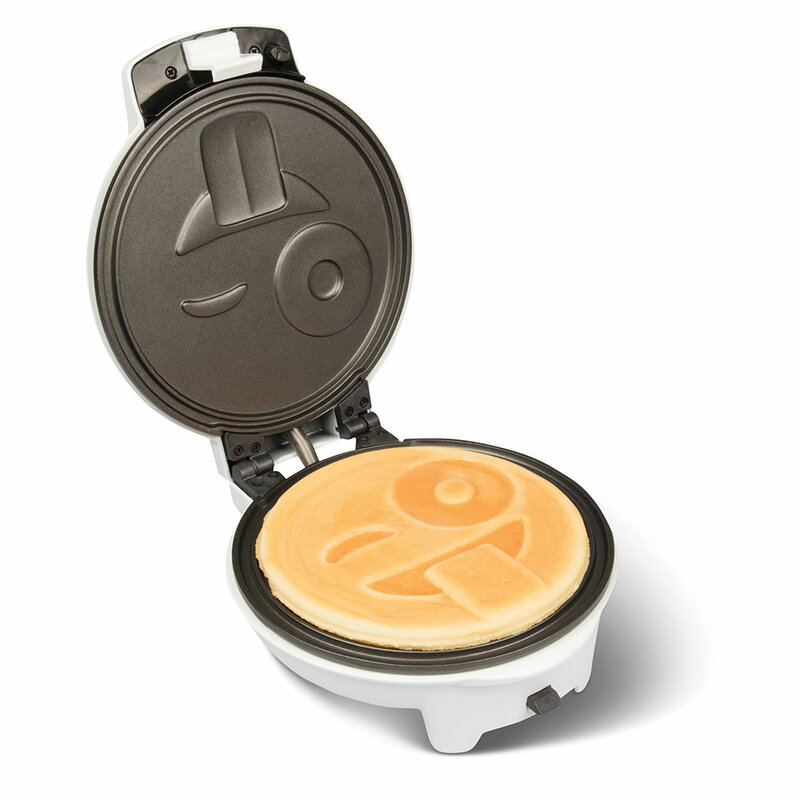 Browning and temperature control are adjustable with a simple twist of a knob, and the non-stick surface allows for easy cleanup. 11" L x 9" W x 7 1/2" D.
The Edible Emoji Maker comes with The Hammacher Schlemmer Lifetime Guarantee. Items that we sell are guaranteed for their normal life under standard non-commercial use.